Chianti is the most popular part of Tuscany, a large area between Florence and Siena, known around the world for the beauty of its landscape: the soft shape of the hills, the nuances of color, forests, wheat fields, olive groves dominated by vineyards and ancient castles, historical Roman churches and private villas. All this makes Chianti region a unique land with a perfect balance between nature and history. The most important cities in this area are Greve in Chianti, Castellina in Chianti, Radda in Chianti, Panzano in Chianti and Gaiole in Chianti. 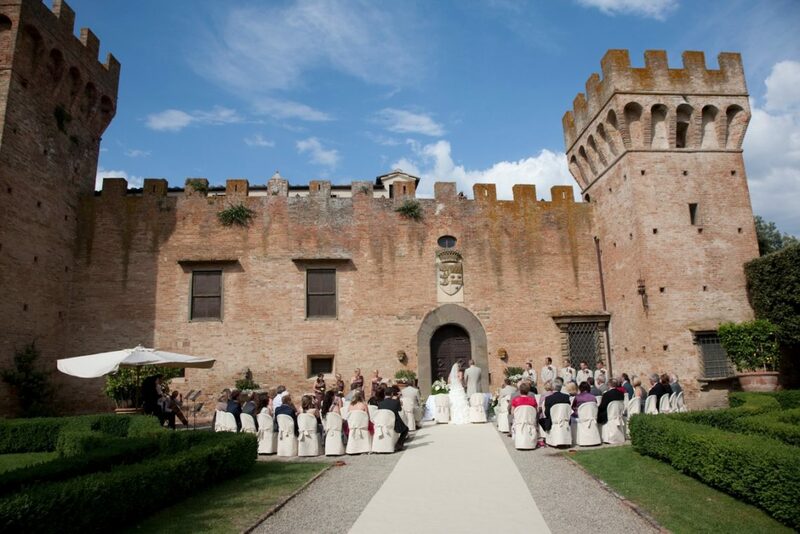 Getting married in Chianti is an unforgettable experience that allows you to discover and explore the beauty of Tuscany: medieval castles, cities, palaces situated in the heart of the small medieval villages, villas, cottages, hotels and resorts are available to couples and their guests to suit every style and budget. 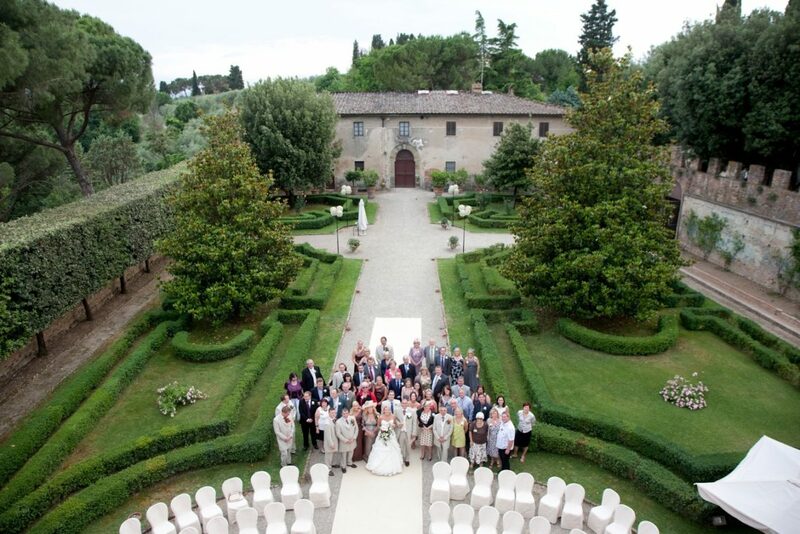 A wedding in Chianti is an exciting ceremony and a high standard reception, both with unmistakable style. Chianti offers countless ancient Town Halls for romantic and exclusive civil ceremonies as well as beautiful secular churches for unique and intimate Catholic ceremonies. Symbolic ceremonies can be celebrated in private gardens in historical villas, by the pool of perfectly restored farmhouses, in ancient castles, with an excellent service reception underneath the stars and enjoying typical Tuscan specialties. All this will make your wedding in Chianti an unforgettable moment!